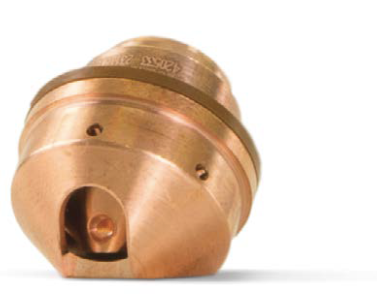 FlushCut for the Powermax 45 XP - Keen Compressed Gas Co.
Hypertherm announces the launch of their new FlushCut consumables for the Powermax45 XP system and Duramax Lock torch. With the new 45-amp flush cutting process, attachments, fixtures and other protruding features/parts with thicknesses of 5/8″ and below (including the weld) can be removed, leaving less than 3/16″ of residual material on the base plate. The overall severance capacity for the 45-amp flush cutting process is 25 mm (1”). By dramatically reducing the amount of material that needs to be ground, the overall process time for these types of flush removal jobs can be reduced by up to 60%. 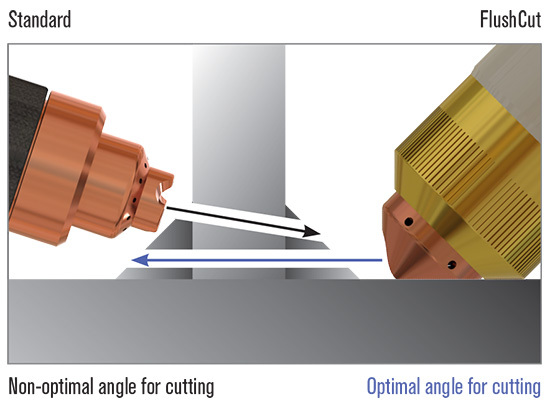 Cutting lower on an attachment or protruding part also increases the chances that it can be used multiple times. Not only is the flush cutting process ideal for difficult removal applications, but it can also be used in lieu of a grinder, at lower amperages, to wash away residual material or hard facing without impacting the work piece or base material. Powermax users can now cut closer, or more flush, to the base metal than ever before, significantly reducing grinding work and increasing the opportunity to reuse temporary attachments. Watch this video for flush cutting highlights from Hypertherm. Contact your Account Manager or visit your local branch to get more information or to schedule a demo!